As a leader in fleet management, Arval is a recognised Hyundai provider, capable of sourcing every model from the fleet and other makes of vehicles when preferred. For more details about contract hire or other brands call or request a quote below. Based in South Korea, Hyundai was founded in 1967 and, along with Kia, makes up the Hyundai Motor Group. One of the world's largest automobile manufacturers it is known for producing reliable and affordable cars in a range of popular segments. The smallest car in the range, the new i10, provides a stylish and clever option for those looking for a small and economical city car. For drivers looking for a bit more space, the i20, i20 Active and ix20 superminis provide more room than the i10 but still in a compact design. The new i30 comes in hatchback and tourer versions, offering a range of efficient engines, high quality interior and modern styling. Hyundai’s i40 is available with a range of smart, efficient engines and great technology and can be ordered as either saloon or tourer version. Sitting above the i40 in the saloon line-up is the new Genesis, a premium saloon with lots of technology and comfort. The Tucson provides a stylish crossover capable of competing with the Nissan Qashqai while the Santa Fe is a larger sports utility vehicle (SUV). The largest vehicle in the range is the i800, a people carrier delivering both comfort and practicality, capable of carrying 8 people as well as luggage. Available across the Hyundai range is Blue Drive technology, aimed at improving fuel consumption and reducing emissions. 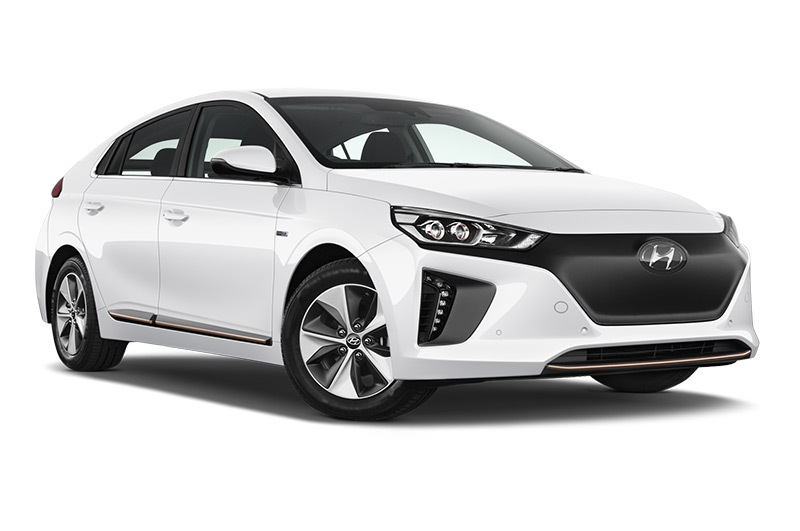 For those wanting the ultimate in planet-friendly motoring from Hyundai, look no further than the new Ioniq hybrid and electric cars. As an experienced full service leasing company, having been delivering vehicle solutions, products and services for over 40 years, we support customers of all business sizes, helping them make the right decisions for both themselves and their company. Still deciding between marque and model? Take a look at our latest vehicle lease deals for our more recent offers. For more information about contract hire or leasing a Hyundai, or any other vehicle manufacturer, please contact us on 0345 266 5602.